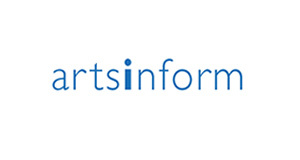 Arts inform and Sound Connections invite you to ‘Keys To The Future’ a seminar on work-related learning in the music sector. This seminar is for anyone working in a music organisation who wants to engage with young people in the workplace, whether in a community music, commercial or orchestral setting. We also welcome music, arts and media teachers who want to engage with the music sector on behalf of their students. Work-related learning continues to be a priority for young people as they struggle to find their place as workers in the cultural sector. They may aspire to be performers, composers, managers, technicians, teachers or education leaders. Many music organisations are already working to provide meaningful and practical experiences which will help to introduce young people to the world of work in a creative musical context. It is difficult to underestimate the importance of these projects and collaborations in our current economic climate. For more information and to book a place click here.